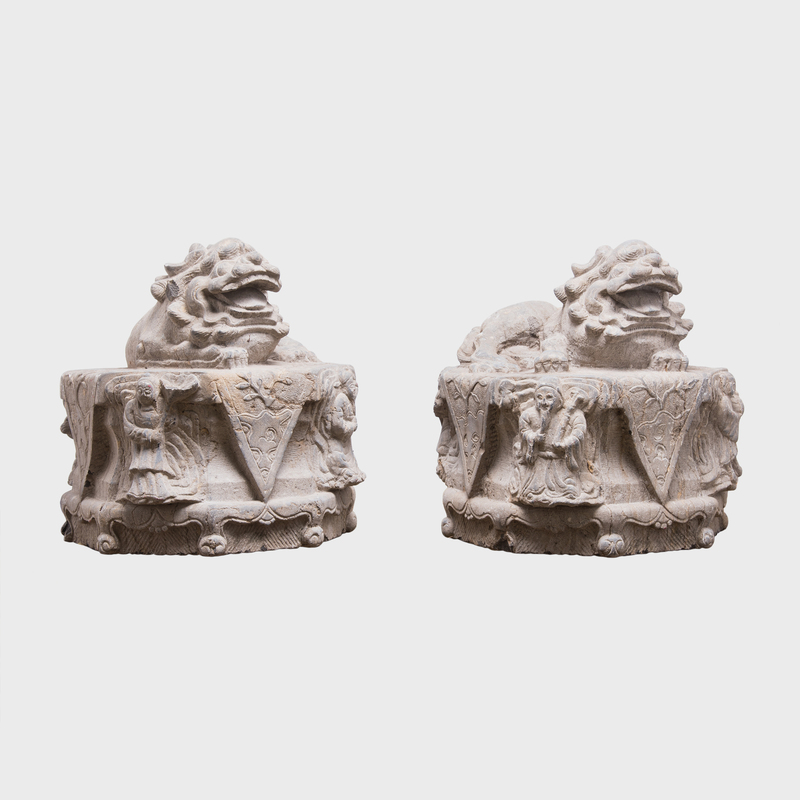 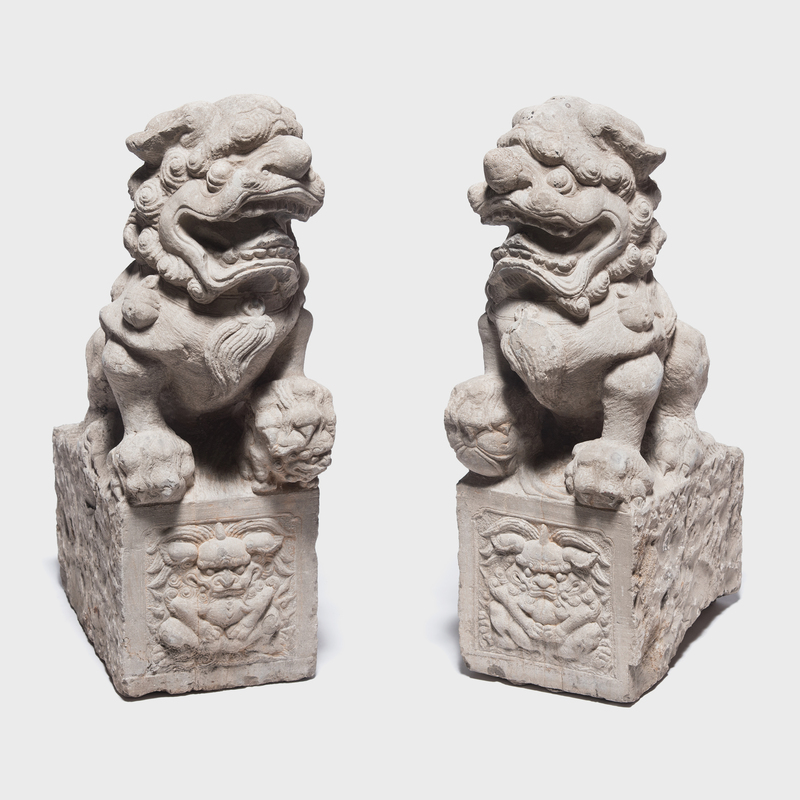 W: 11.5" D: 17.0" H: 32.0"
This pair of intricately carved and expressive limestone fu dogs (shizi) would have protected the entry of a grand courtyard home in 19th century China. 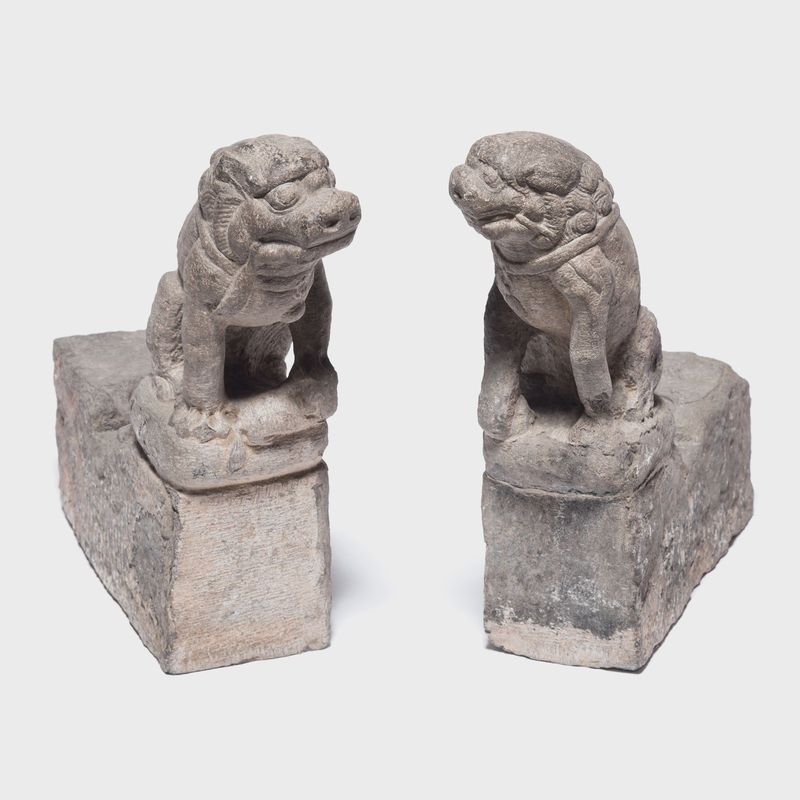 The male with a cord in his mouth and the female with her paw protecting her child have elaborately carved manes, as well as collars with bells and tassels. 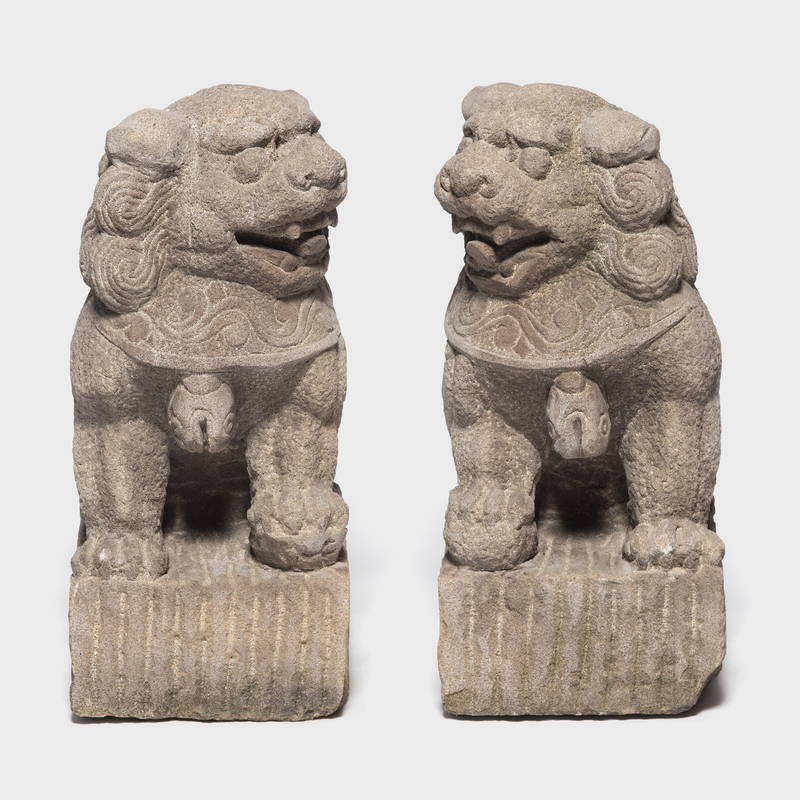 Their mouths are open, revealing beautifully articulated tongues and teeth. 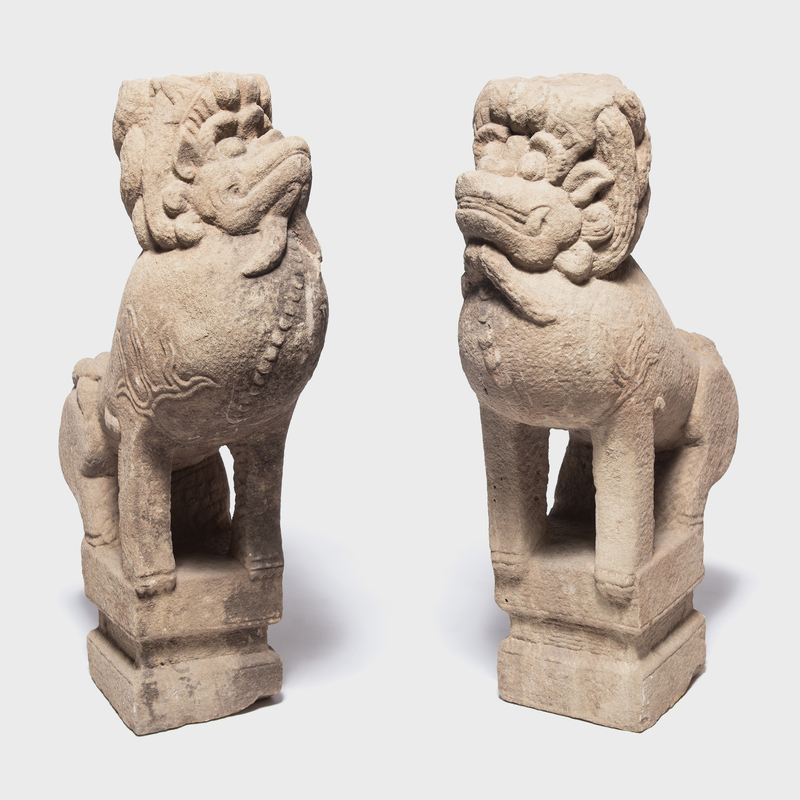 They sit on carved limestone blocks that are carved with additional lion protectors.